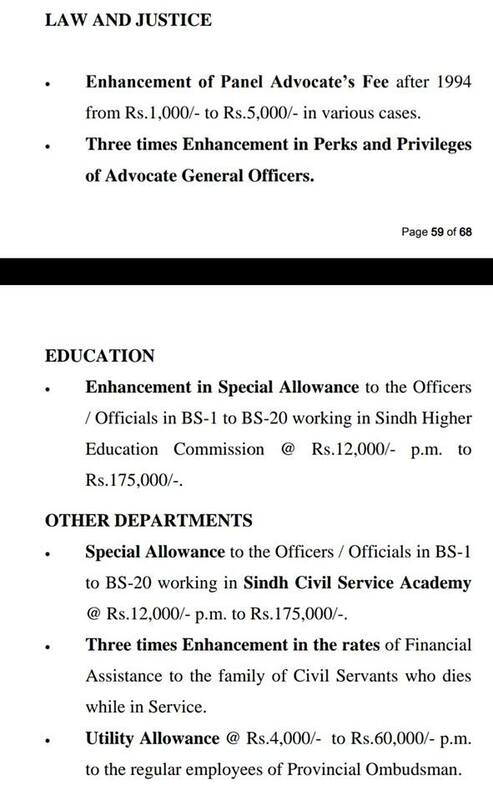 According to the speech on Thursday 10 May 2018 Increase Salaries Budget 2018-19 Sindh Govt Employees is 10%. 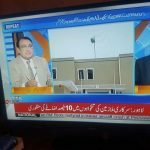 There will also be increase in pension 10%. 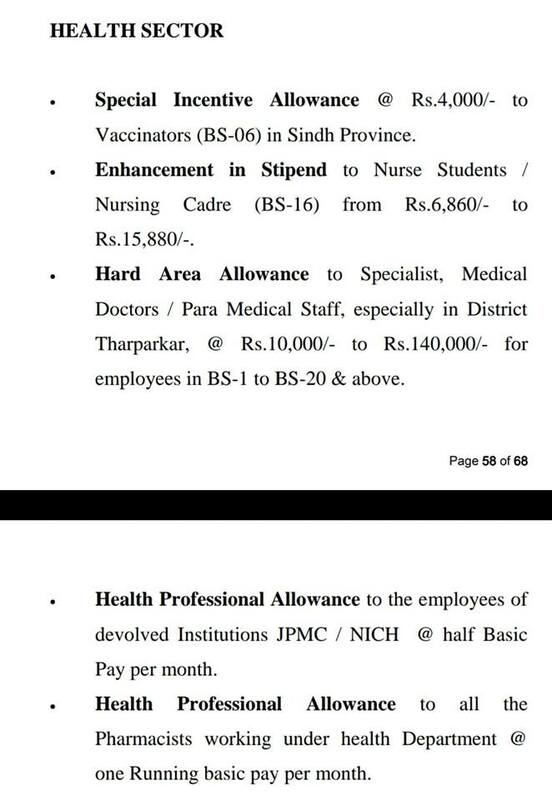 As soon as we get the latest updates regarding the increase in salaries for Sindh, we shall share the same at the same post. 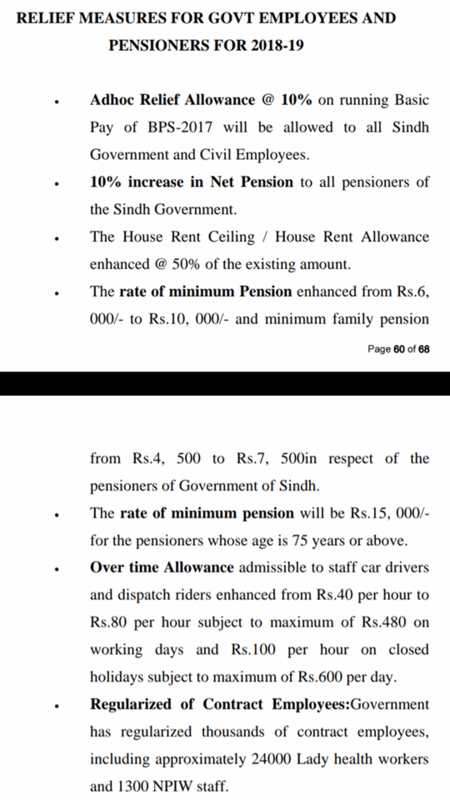 Federal Government has already announced in budget 2018-19 increase salary 10% & pension also 10% for the Government Employees.
. Adhoc Relief Allowance @ 10% on running Basic Pay of BPS-2017 will be allowed to all Sindh Government and Civil Employees.
. 10% increase in Net Pension to all pensioners of Sindh Government.
. The House Rent ceiling / House Rent Allowance enhanced @ 50% of the existing amount.
. 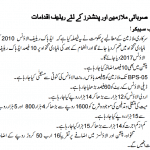 The rate of minimum Pension enhanced from Rs. 6,000/- to Rs. 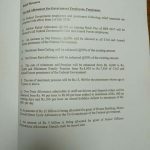 10,000/- and minimum family pension from Rs. 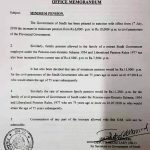 4,500 to Rrs.7, 500in respect of the pensions of Government of Sindh.
. 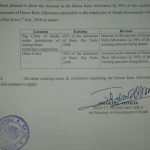 The rate of minimum pension will be Rs. 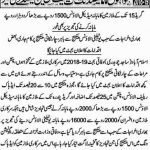 15,000/- for the pensions whose age 75 years or above.
. Over time Allowance admissible to staff car drivers and dispatch riders enhanced from mRs.40 per hour to Rs.80 per hour subject to maximum of Rs.480 on working days and Rs.100 per hour on closed holidays subject to maximum of rs.600 per day.
. Regularized of Contact Employees: Government has regularized thousand of contract employees, including approximately 24000 Lady health workers and 1300 NPIW staff. 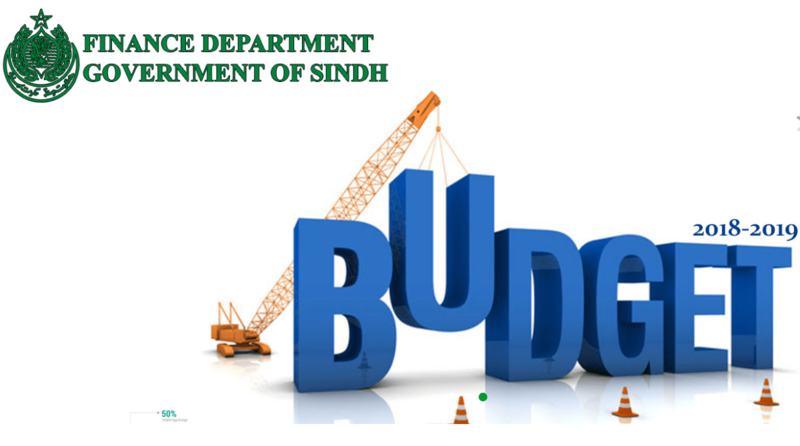 Special thanks to Mr. Maqsood Ahmad and Shafiq Ahmad Abbasi for sending the copy of the budget speech Sindh 2018.